Time is the moving image of eternity. Those whose hearts are fixed on Reality itself deserve the title of Philosophers. For no good man would accuse the innocent. CALLICLES: Do you want me to agree with you? SOCRATES: Yes, if I seem to you to speak the truth. The more the pleasures of the body fade away, the greater to me is the pleasure and charm of conversation. Life without this sort of examination is not worth living. There is an ancient quarrel between philosophy and poetry. 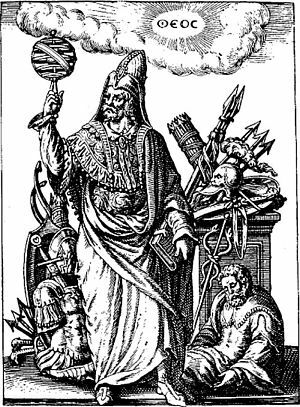 It is said that Socrates commits a crime by corrupting the young men and not recognizing the gods that the city recognizes, but some other new religion. A man who has any self-respect, nothing is more dishonourable than to be honoured, not for his own sake, but on account of the reputation of his ancestors. Would he not be a bad manager of any animals who received them gentle, and made them fiercer than they were when he received them? What do you say? But if we had no master to show, and only a number of worthless buildings or none at all, then, surely, it would be ridiculous in us to attempt public works, or to advise one another to undertake them. Is not this true? And at first he would most easily discern the shadows and, after that, the likenesses or reflections in water of men and other things, and later, the things themselves, and from these he would go on to contemplate the appearances in the heavens and heaven itself. Sons, the event proves that your fathers were brave men; for we might have lived dishonourably, but have preferred to die honourably rather than bring you and your children into disgrace, and rather than dishonour our own fathers and forefathers. Either death is a state of nothingness and utter unconsciousness, or, as men say, there is a change and migration of the soul from this world to another. ...Now if death be of such a nature, I say that to die is to gain; for eternity is then only a single night. But if I died because I have no powers of flattery or rhetoric, I am very sure that you would not find me repining at death. For no man who is not an utter fool and coward is afraid of death itself, but he is afraid of doing wrong. I tell you, Callicles, that to be boxed on the ears wrongfully is not the worst evil which can befall a man, nor to have my purse or my body cut open, but that to smite and slay me and mine wrongfully is far more disgraceful and more evil. No man can escape fate, and therefore he is not fond of life; he leaves all that with God, and considers in what way he can best spend his appointed term;—whether by assimilating himself to the constitution under which he lives. Well, then, if you and I, Callicles, were intending to set about some public business, and were advising one another to undertake buildings, such as walls, docks or temples of the largest size, ought we not to examine ourselves, first, as to whether we know or do not know the art of building, and who taught us?—would not that be necessary, Callicles? 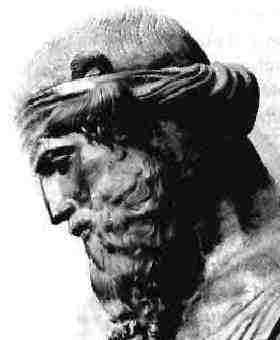 Plato was an ancient Greek philosopher and mathematician. He is among Socrates, his teacher, and Aristotle, his student, one of the greatest figures in Western philosophy.